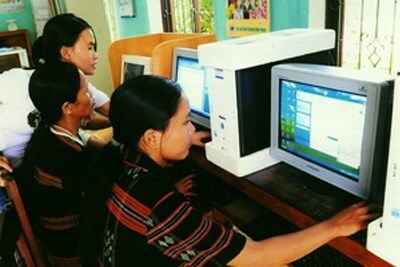 PM Nguyen Xuan Phuc approved a project on boosting IT use in ethnic minority areas. Hanoi (VNA) – Prime Minister Nguyen Xuan Phuc has approved a project on boosting the application of information technology to support socio-economic development and security in areas inhabited by ethnic minority groups during 2019-2025. The project aims to establish an electronic system to provide ethnic minority people with information on the Party and State’s policies and laws, scientific-technological knowledge and other issues. The system will be gradually connected with information portals of ministries, agencies and local administrations. Digital technology will be used to preserve the fine cultural heritage of ethnic minority groups, with the goal of 80 percent of information on traditional ethnic festivals and customs digitalized. The database on ethnic work will be upgraded to serve both State management and ethnic people. One important task set by the project is to build a database on ethnic minority groups focusing on their history, culture, festivals and customs, traditional products and geography of their residential areas. Applications for smart phones will be developed to assist the popularization of policies and laws, and the warning for natural disasters in ethnic minority areas.